Kicking off New World School of the Art’s signature annual showcase Rising Stars is “Objects”, a carefully curated exhibition featuring a wide-range of artwork created, specifically for this annual event, by the college and high school students of NWSA. The show will be followed by the Rising Stars performing arts showcase withexcerpts of renowned works in dance, music and theater. Presenting an excerpt from the new choreography Chance of Thunder, by Eduardo Vilaro – Artistic Director of Ballet Hispanico, a cast of thirteen NWSA college dancers will dance to powerful music by Juan Garcia Esquivel. The NWSA high school student dancers will offer a work by Robert Battle, Artistic Director of the Alvin Ailey American Dance Theater Company and NWSA dance alumnus, entitled Boxed – a dance that explores the theme of confinement and freedom. 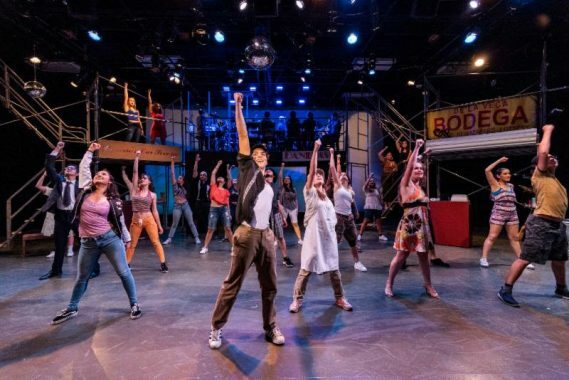 The high school music theater students will transport the audience to the vibrant community of Washington Heights with flavorful excerpts from the Tony-Award winning Broadway musical In the Heights, while the college music theater students present an excerpt of the popular Broadway musical Big Fish. Led by Maestro Alfred Gershfeld, the NWSA Symphony Orchestra will showcase the high school and college music students while the Jazz Ensemble, directed by Jim Gasior, will enthuse the hall with the rousing sounds of jazz. The audience should expect exhilarating performances from the NWSA high school choir as well as from the wind ensemble.